Even though my workouts didn’t go as planned last week, my mood was PMS-free! Everything (and everyone) was so much easier to tolerate. My biggest issue last week was going to Trader Joe’s TWO TIMES for cinnamon and leaving BOTH TIMES without cinnamon. I need cinnamon for my oatmeal! How screwed up can a person be to keep going to Trader Joe’s for cinnamon and leaving without the cinnamon? By Friday, I was back at Trader Joe’s for my third time in five days, totally scared that I would forget the cinnamon again. I remembered it (thank goodness) and also picked up a few other things that I don’t normally get at Trader Joe’s. Let’s talk about the vegetable patties. They actually remind me of Dr. Praeger’s veggie littles. I bought the cauliflower & broccoli and the carrots & peas vegetables patties but neither should be confused with any type of protein/meat replacement product. They are simply vegetable patties, not a protein supplement for us meatless eaters. So far I tried the broccoli & cauliflower and it was just okay. I bought them mainly for my son to eat since he never eats vegetables so we need a little more time to try them for a proper review. I will report back in a few days. 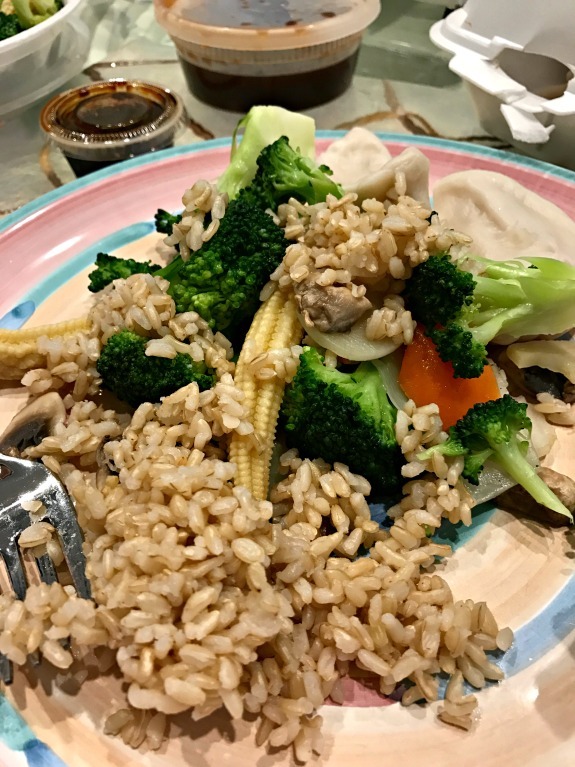 Organic Superfood Pilaf – I picked this up with my son in mind (because he needs more superfoods in his life) under the assumption that I can eat it from his plate when he tells me he’s not eating anything called superfood pilaf. Sriracha Roasted Garlic BBQ Sauce – We like it! It’s definitely spicy though so a little bit goes a long way. French Onion Soup – Haven’t tried it yet but will let you know what we think when we do. Work wise things were a little quiet for me last week which was just what I needed. There was a big conference going on (Catersource) that everyone in the event industry was attending so I was able to get things done on my end with little interruption. I needed a week like this to regroup, focus and organize myself (and prepare for this week which I know will be insane). Why even mention the snow days last week, right? Speaking of warm weather, should I be starting to organize my son for camp already? Why do I feel like I was just planning and packing camp clothes? 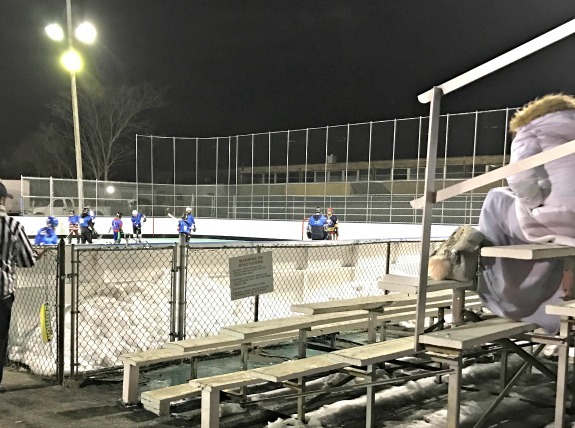 I certainly won’t mind the break from my son’s outdoor hockey season this summer, that’s for sure. I mean, I LOVE hockey and I love to watch him play but the 9:00 pm games followed by 9:00 am games as we had over the weekend? I can live without. 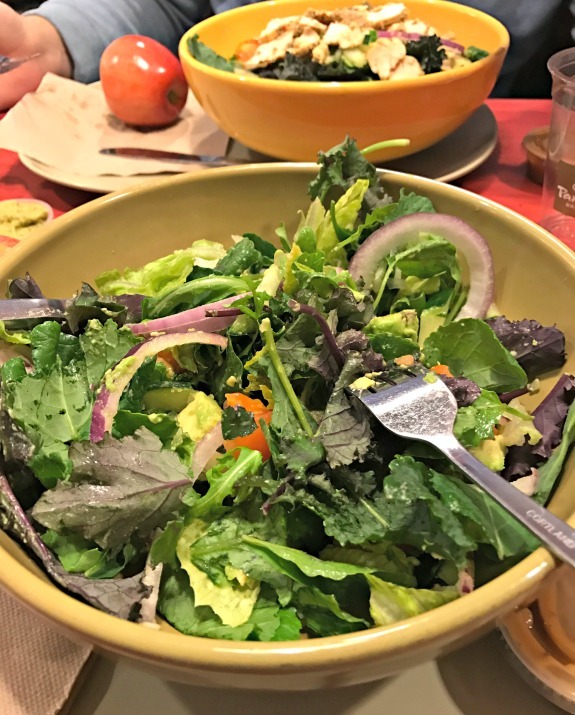 I had lunch with someone I used to know at Panera and took the liberty of ordering us salads to keep us both healthy for our old age. 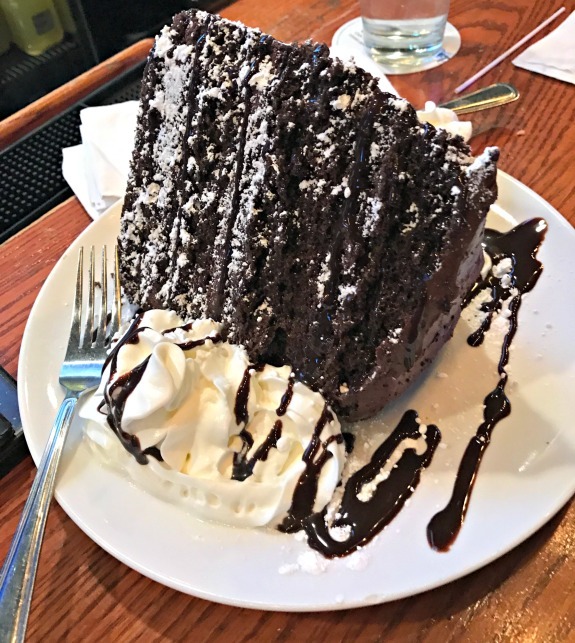 The biggest slice of chocolate cake of my life happened last week! I know we already discussed it but it’s worth mentioning again since it was a monumental moment in my life. Chinese take out is always a good thing. My son taunted me a few times with the boneless spare ribs but I didn’t mind. I sort of miss them but don’t crave them or care when they are near me so he didn’t bother me. And what’s a week without my salad from The Cheesecake Factory? 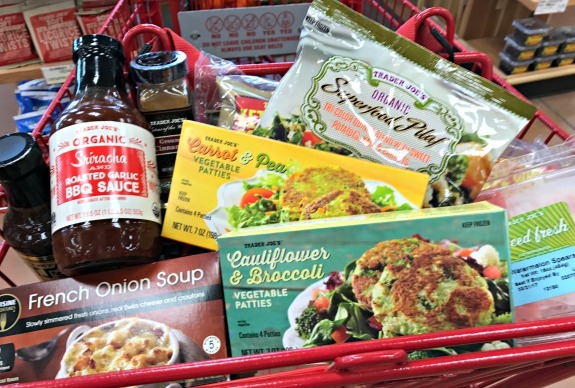 Any new Trader Joe’s finds for you recently? How often do you go food shopping and forget what you went for? I hate when I got to the store with a few things in mind to get, without a list, and end up forgetting at least 1 item. I know myself well enough to know that I should always have a list! Yay for the first day of spring…now lets hope it stats to warm up! I almost always forget something when I go to the store, even with list in hand. It’s the worst! I’ve been loving TJ’s GF chicken nuggets and their grass-fed whole milk yogurt topped with their almond butter granola! It’s actually been a really long time since I’ve been to trader joe’s! I’m going tonight though to get supplies for homemade pizza. I want to pick up some of their nutritional yeast since I use it so much, and I heard they have a lot of coffee flavored products now! wait my trader joe’s doesn’t sell nutritional yeast! I always wish that they did, I have to go to whole foods to get it! I don’t have a Trader Joe’s within 2 hours of me! So sad. No whole foods either. Everything looks delicious ! that’s terrible! I hope they open one soon in your area. I always manage to forget at least one thing at the store, usually a spice or something. I am so excited that it is finally spring! We had a sunny warm day yesterday and it was exactly what I needed. So many good eats. 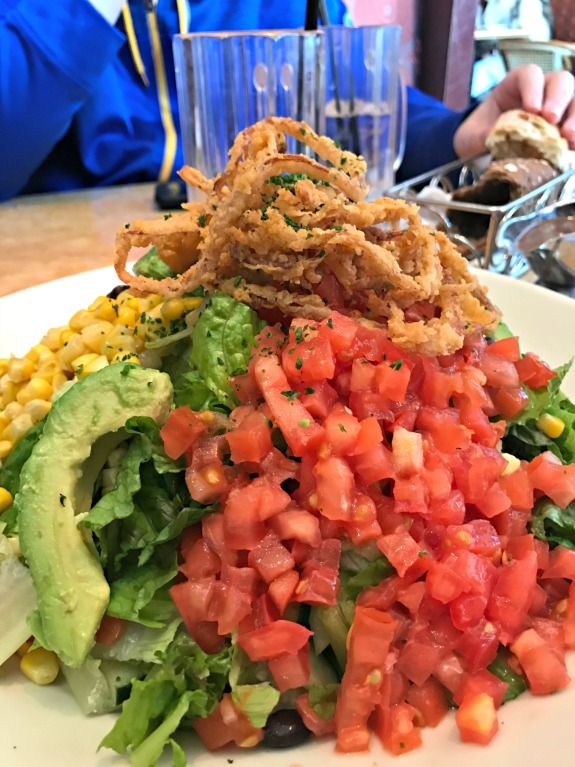 I still crave that Cheesecake Factory Salad even though I’ve never had it. One day, it will be mine. Summer sleepover camp already? I can’t believe how quickly the time flies by. you need to have it!! it’s the best salad. I owe it all to the onion strings. Hilarious story about the cinnamon! Totally a Suzy move. The best thing I ate was a breakfast sandwich yesterday morning with egg, bacon, cheese and a special sauce on a bun. I was starving, and every bite was magical. isn’t that the best feeling when you are so hungry and what you eat just hits the spot?! Wow, that mega slice of cake is a masterpiece!!! I never go shopping without a list, so I don’t usually forget stuff. Best thing I ate over the weekend would have to be smoked chicken burgers (in lettuce) and baked sweet potato fries! I have the 21 seasoning salute – I forgot about it!! That happened to me with salt twice last week, and it almost happened a third time but I caught myself last minute. Salt might be boring but obviously I NEED it! Best thing I ate over the weekend: The most perfect, buttery croissant after a 10 mile run! ohhh a croissant has been on my mind lately! I need to get one. Oh trust me. I’m -so- good at forgetting my top priority items on grocery trips. Sometimes remembering them shortly before the checkout and lugging my heavy bag back to the specific shelf. By the time I return the queue usually tends to be longer. Fun times … not. Do you know what’s weird? Right when you mentioned summer camp I thought – not reading on, I swear! : wow, it seems like yesterday she prepared for the previous summer’s. And there you said it. Weird. Also, I’m so -not- a salad person but that one looks pretty amazing. Generous amounts of the good stuff and onion rings. Mmmh. how funny?! time really goes fast and I’m glad someone else noticed that it seems as though I was just talking about camp!